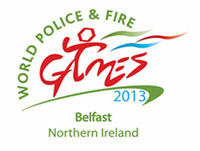 Thursday sees the opening ceremony of the World Police and Fire Games take place in the Kings Hall in Belfast. This marks the official start of the WPFG and promises all athletes, their friends, family and supports a warm Belfast welcome. If you can’t make the event you can watch live at www.bbc.co.uk/ni. This biennial event is often referred to as the Olympics for serving and retired police, fire, prison and border security officers and Belfast we’re sure will be the friendliest and most welcoming games. This fantastic event is sure to encourage tourism and help local businesses and people prosper in these fantastic times in Northern Ireland. Full information on the games including venue maps, spectator information and an online shop are available at http://www.2013wpfg.com/.